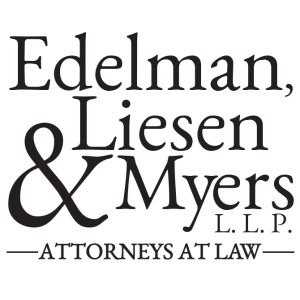 Edelman, Liesen & Myers, L.L.P. 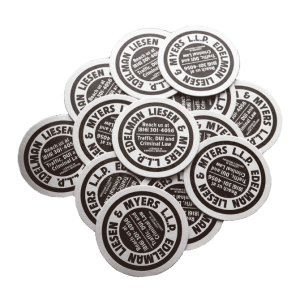 Edelman, Liesen & Myers L.L.P. is a Kansas City based law firm who’s practice areas include estate planning, employment law, immigration law & criminal defense. 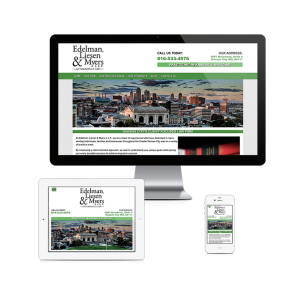 Being a new business, Edelman, Liesen & Myers needed a complete branding and identity package including a logo design, business card design, letterhead design and a custom website. When we met to discuss their needs and vision for their business’ identity and the scope of the project, we prioritized our list of projects to initially focus on the part they viewed as being the greatest need, a new website. I created a custom website using WordPress which features a responsive design so that its elements adapt to the device it is being viewed on. 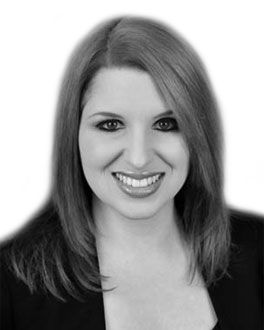 The purpose of the website is for client acquisition, through search, socal and other channels. This required creating specific landing pages for each area of practice as well as having contact forms easily accessible and on every page. One unique element of the website the partners knew they needed were profile pages with individual contact information as well as their own contact forms for each member of the firm. Once the website was done, I did some basic search engine optimization and created some business listings so that the website would index better in search engine results. During a followup meeting, one of the partners suggested designing a coaster to put in bars with their contact information on it. I designed a 3.5″ round coaster using a sans serif font, which detailed their practice areas and contact information. It generated the response they wanted with phone calls and messages through their website. A little while later we started developing logo concepts. The partners knew they wanted a creative piece of typography using a serif font that could stand alone as well as incorporate a graphic of a tree. After presenting them with some proofs, we began to narrow down what they liked and did not like at which point I incorporated more of their feedback to finalize a logo design. Once we had a logo design, the partners asked me to create a business card design that tied in the new logo with some design elements from the website to create a uniformed look. I incorporated the tree image in the background of one side of the card and the green color from the website on the other side and used the serif font from the logo for the contact details.